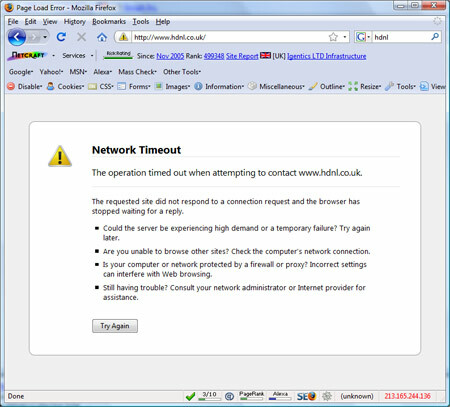 If you’ve tried to access Home Delivery Network’s website this morning to complain about their shoddy service you’ll have noticed that the website is down, as you can see below. Presumably the website has crashed under the weight of customers wanting to complain about the lack of delivery of their HDNL parcels, or perhaps the fact that their parcels have arrived damaged. Maybe even they’ve gone bust? Who knows. If you are looking to complain to Home Delivery Network then you can reach them on the following phone number, a phone number that you won’t find on their website.